A lifelong resident of Atlanta, H. Lamar Willis has served the citizens of Atlanta as the Post 3 At-Large council member since 2001. During his first two terms, Councilman Willis has led the charge on numerous legislative efforts impacting the lives of Atlanta’s citizens. More specifically, he has championed transportation legislation that led to the City partnering in the development of the Beltline and the proposed Atlanta Street Car; he drafted the legislation that led to the creation of the Citizen Review Board; and he drafted the legislation that led to the “Donation Meters” that are located citywide to offer an alternative to panhandling and to collect funds to help the homeless. Having been re-elected to a third term on the Atlanta City Council in 2009, he currently serves on the Transportation Committee, Finance/Executive Committee & Public Safety Committee of which he is the Vice-Chairman. Councilman Willis has previously served as President Pro-Tempore, Chairman of the Public Safety Committee, and Chairman of the Transportation Committee. Upon being re-elected, his peers unanimously selected him to serve as their representative on the Atlanta Regional Commission. 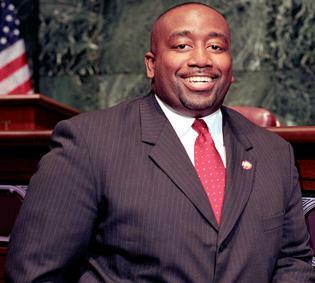 Upon graduating from Northside, (Now North Atlanta High School), Councilman Willis went on to attend Morehouse College where he earned a Bachelor of Arts in Urban Studies. After graduating from Morehouse College he entered Carnegie Mellon University as a Woodrow Wilson Fellow. After receiving his Master of Science degree in Management and Policy Analysis, Councilman Willis joined the Pittsburgh office of the Deloitte & Touche Consulting Group where he served as a public sector/government information technology consultant. Upon his departure from Deloitte & Touche, Councilman Willis continued on to Boston College Law School (BCLS) where he enrolled as a Presidential Scholar for his Juris Doctorate. As a student at BCLS, Councilman Willis served as First Circuit Governor for the American Bar Association/Law Student Division (ABA/LSD) and President of the Black Law Students Association. Upon graduation, Lamar received the Susan Grant Desmarais Award for Public Service Achievement and Leadership. Georgia Municipal Association President, Central District – President 2010-? In addition to his duties as a council member, Councilman Willis also practices law in Atlanta (licensed in GA & FL). He is the managing partner of the Willis Law Group, LLC. He is the proud father of thirteen year-old Kayla and 8 year-old Henry. He has been active members of Cascade United Methodist Church for over 30 years. Visit H. Lamar Willis for more information. This entry was posted in Award, honoree, Recognition and tagged A Better Tomorrow, atlanta, attorney, City Councilman, community development, Democrats, fatherhood, ga, georgia, H. Lamar Willis, lawyer, leadership, managing partner, politician, politics, Republicans, Today's Honoree, Willis Law Group. Bookmark the permalink.